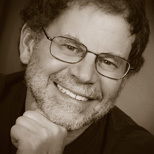 Marc Rochkind has an MS in Computer Science (Rutgers, 1976) and worked for Bell Labs from 1970 to 1982, much of that time on parts of UNIX, especially the Source Code Control System, for which he is well known. His 1985 book, Advanced UNIX Programming, was the first book that explained how to program the UNIX kernel. Since leaving Bell Labs in 1982, he has had several management and non-management positions in various software companies and done lots of consulting. He started a venture-capital-backed company, XVT Software, in 1988, that provided tools to allow programmers to develop portable GUI applications—the first such tool. Later, he was the VP of Software at two venture-capital-backed companies, one with an employee-scheduling product, and one with an online-knowledge-base product. Currently he develops iOS, MacOS, and Windows apps (listed at basepath.com), does some consulting, and writes books, both fiction and non-fiction.